Mouth-Blown, Hand-Painted Glass Christmas ornament created by the fine artisans of Inge-Glas of Germany in 2014. 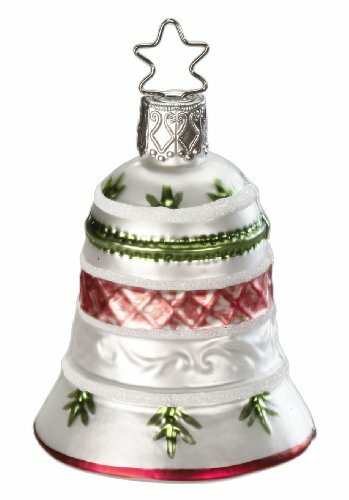 ***Antique Bell*** features the TradeMarked Star Crown, your assurance of high quality and integrity in fine Christmas ornaments. Your ornament will come in an Exclusive Inge-Glas gift box with the Inge-Glas hang-tag, carefully wrapped in acid-free tissue. Created by the fine artisans of Inge-Glas of Germany in 2014. The worldwide recognized and registered 5-point Inge-Glas Star Crown and unique Legend hangtag are your further assurances that you have selected the finest glass ornament in the world.